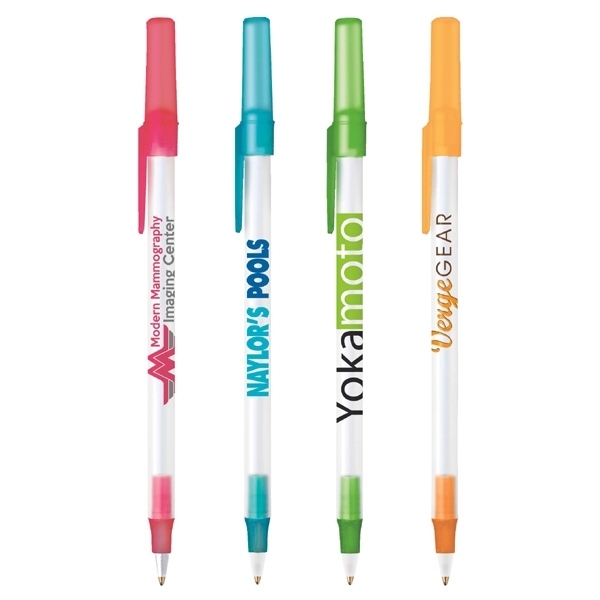 Attach your company's imprint on BIC (R) Round Stic (R) Ice ballpoint pen and you're bound to see campaign success! The medium point, writing tool features black ink, a frosted clear barrel, popular trim colors, and the BIC (R) designed cap recognized worldwide. 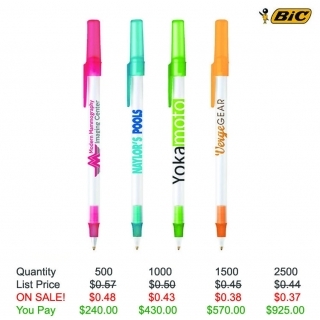 This always-in-stock pen will build your brand awareness every time something gets jotted down! What a great giveaway for schools and any other venue, business or program. Order yours today! Thank You so much for the awesome service and these pens are definitely serving their purpose! We have handed out so many of them already, so it looks like we should have ordered more! See you soon!